Have fun and enjoy the Rogue One premier tonight! These are really detailed, and if you plan on folding and cutting by hand you will need to make them quite large. 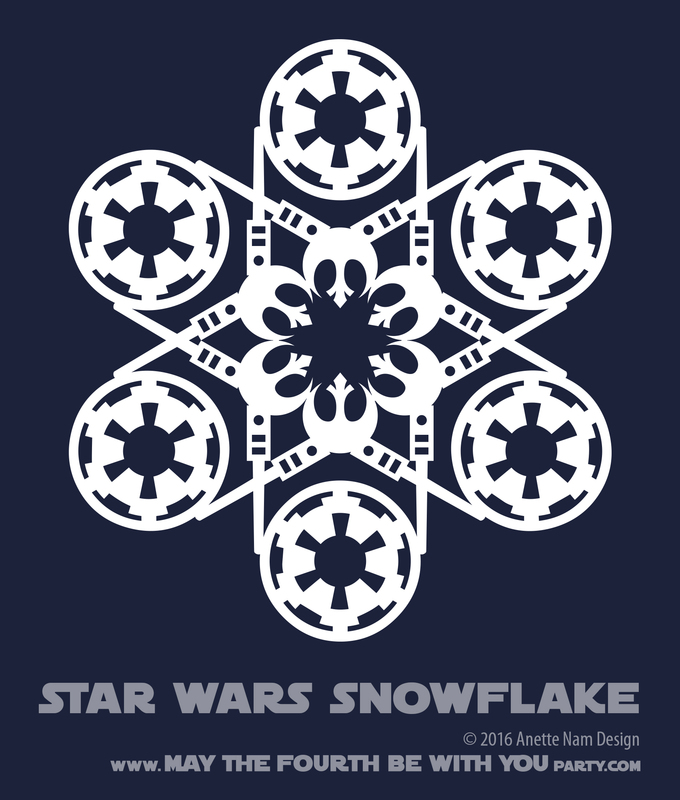 I cut the snowflakes out with a Silhouette Cameo at 8.5 x 8.5. Any smaller than that, and the Cameo could not handle the details. As always, we ask you not to make and sell these – these patterns are only for personal use. A, because LucasFilm Ltd. and Disney owns the rights to all characters, and B, because we made the designs and it would be unfair for you to make money off them. We also we want to remind you that we should get credit when the patterns are used. So, if you show your work using our designs anywhere (online as well), put a “Pattern © Anette Nam Design” and link to “Maythefourthbewithyouparty.com” somewhere close by. THANK YOU!